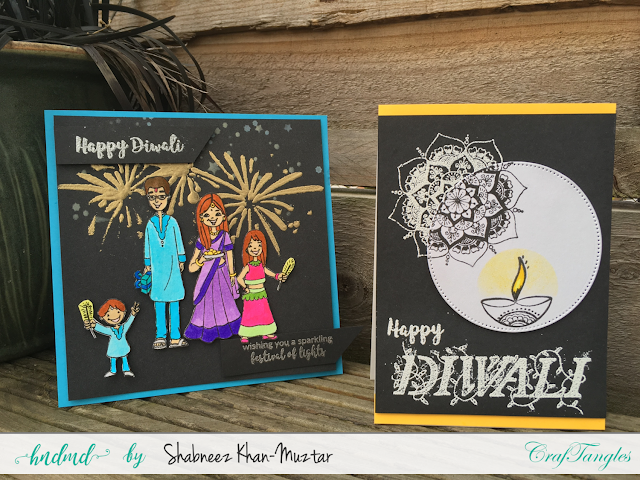 It's Shabneez here with a couple of Diwali cards to share ready for the festival of lights! Are those of you that are celebrating all prepared now?! 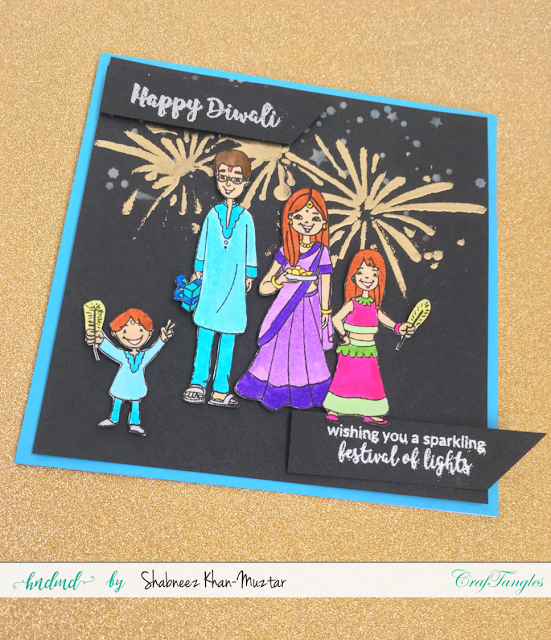 As Diwali is the festival of lights, I decided to make that the theme in both my cards. For the first card, I stamped part of the mandala stamp onto a die cut circle together with the diva lamp. I then made a mask around the diva lamp and used distress inks lightly to create the glow of the flame. I coloured the flame with my zig clean color pens. 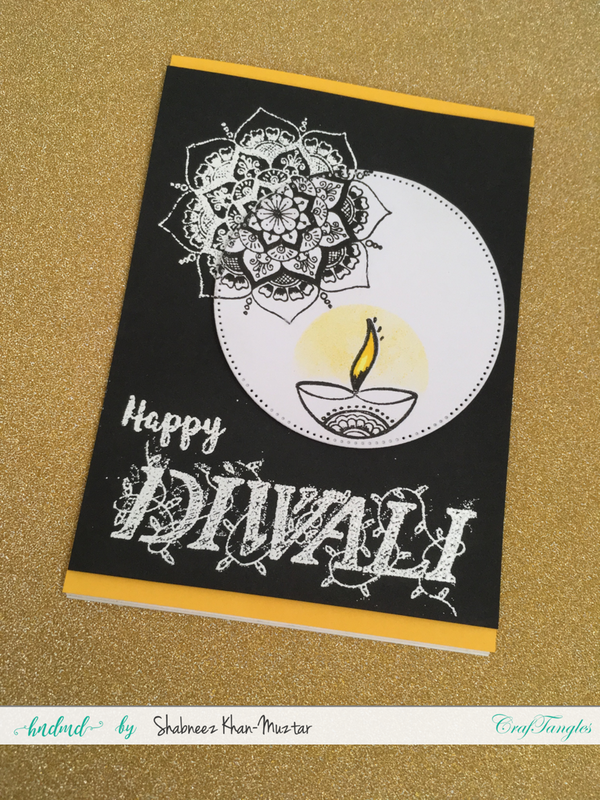 I stamped the mandala again on black card together with the sentiment and heat embossed in white. The circle was then placed over the heat embossed mandala so you get the reverse monochrome effect. I backed the black card on to yellow just to highlight the colour of the flame. For my second make, I decided to use light in the form of fireworks for my background. I used a mixture of distress oxides and gold heat embossing through a stencil to create the firework background before adding the family from the CrafTangles Diwali stamp set which I coloured in bright colours. I added heat embossed sentiments in silver to finish. I backed the black onto blue card to frame the scene. I hope you enjoy your Diwali celebrations and see you again in a couple of weeks. Pretty cards Shabneez, I specially loved first card.. Never looked at that stamp that way.. Thank you Swapna! I think that's what I love about being on the DT you so often see things done differently.